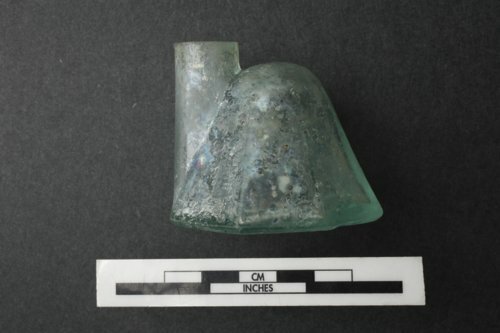 This inkwell was excavated at Fort Hays in Ellis County. The distinctive shape is commonly called igloo, domed, teapot, turtle, or monitor. The lettering on the side of the bottle reveals it to be "MONROE'S PATENT SCHOOL INK." Fort Hays was added to the National Register of Historic Places in 1971.